Most patients will find themselves in need of a filling at some point in life. When a tooth is decayed, so long as the decay is not too severe, your dentist can restore it using either metal amalgam (grey) or white (tooth coloured) fillings. These days, many people opt for white fillings, because they are much less noticeable than amalgam fillings, being matched closely in colour to the natural shade of your teeth. Because they are considered a cosmetic procedure, white fillings are only available to private patients. 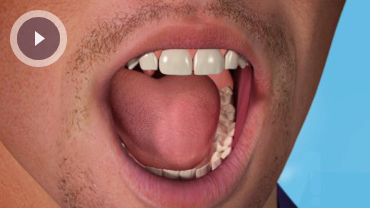 Amalgam fillings remain available to NHS patients. White fillings are strong and resilient, and are made from a compound of resin and glass or ceramic materials. They are available in a variety of shades, so your dentist can match them to your natural tooth shade, making them highly discreet. In the past they were considered to be less strong than metal fillings, but modern white fillings are now almost as strong as their amalgam counterparts. In most cases, white fillings are fitted under local anaesthetic at the same time as decay is removed. If you come to us for an emergency appointment and your tooth shows signs of infection, this will need to be treated first, so you may need a second appointment for your filling. The fillings are fitted using a rubber dam to isolate the affected tooth and to keep the area clean. How long any filling will last will depend on where it is in your mouth and how your teeth meet together, but with proper care white fillings should last you many years. At Park Lane Dental we can also replace old, worn metal amalgam fillings with new, discreet white fillings. Should we discover you need a filling at your dental check-up, we will give you the price and treatment options for both white and metal amalgam fillings.